The ETF2L finals have come to a close with Thermal Take over TCM Gaming for the Premiership finals. The match was very exciting as all three games came down to the wire. The final score was 2-1, and we had two golden rounds played. The three maps went 5-4 TT, 4-3 TCM (Golden round), 4-3 TT (Golden Round) played on Badlands, Gully, and Granary. TT had better strats, and medic play from Merilin. They were more patient, as TCM was over aggressive and would put themselves in some bad situations. If you didn’t see it live I suggest you check out the VOD’s as this was one of the more exciting matches I’ve seen in a long time. 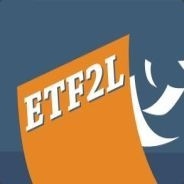 Congratulations to Thermal Take on their ETF2L win!